This 407 piece set includes the 32 most commonly used sizes ranging from 1/8'' I.D.-1/4'' O.D. to 2'' I.D.-2-1/4'' O.D. 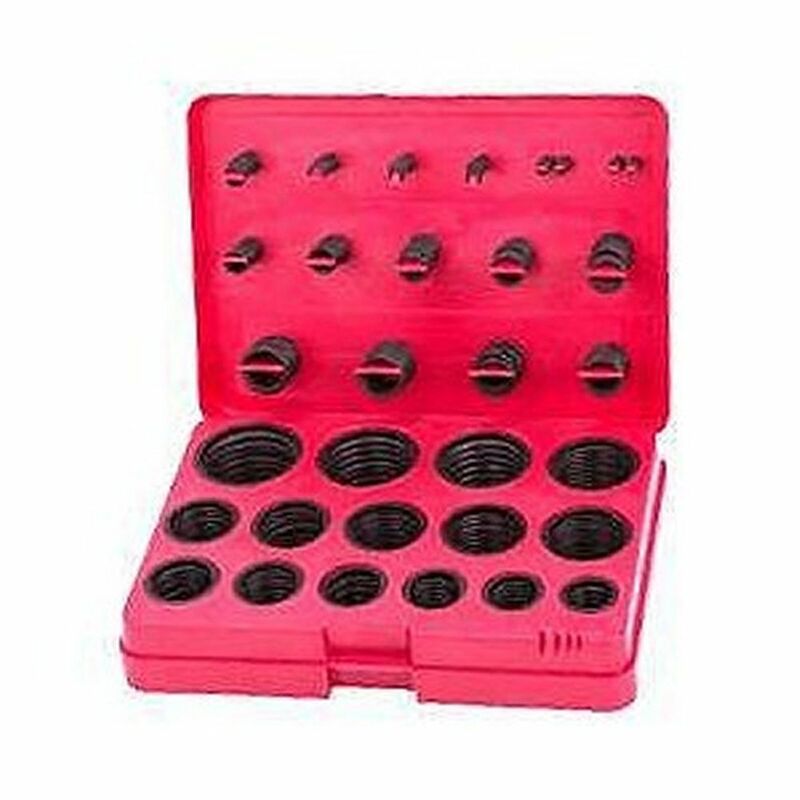 all neatly stored in a sturdy molded storage case with built-in width gauge. Nitrile rubber construction.